Common Destinations: Maps in the American Experience is a path-breaking exhibition that charts objects and imagery related to America’s historical fascination with maps. Created by Martin Brückner, Professor in English and American Literature at the University of Delaware, assisted by Winterthur’s Catharine Dann Roeber, Alana Staiti and Heather Hansen, Common Destinations was displayed in the Winterthur Galleries (April 20, 2013 to January 5, 2014) and is permanently available online. It features over 100 Winterthur library and museum collections objects and images as well as loans from other collections. Throughout history, maps have defined the American experience. Since the early 1500s they introduced the American continent to European explorers and colonists. After the American Revolution, they shaped the image of the new nation; and during the nineteenth century, maps documented westward expansion, civil war, and the closing of the frontier. But while today we are used to seeing historical maps as a popular strategy for telling the American story to history buffs and movie fans alike, what we are not used to seeing is how the very maps that declared independence or measured the progress of the nation were used day-in and day-out by people who went about their business in spite of social change and political crisis. This innovative exhibition, presenting over 100 items from the Winterthur collections, shows how long before there was a National Geographic magazine or Google Earth, maps were central to the social and commercial activities of Americans. 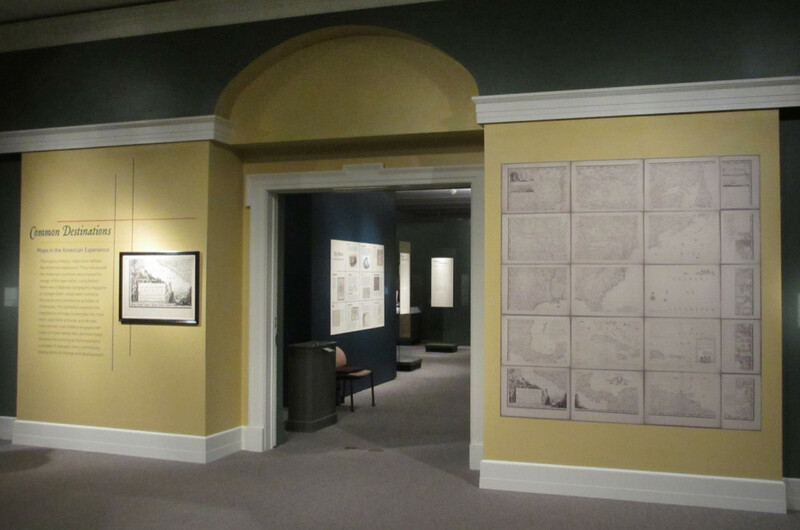 In six sections featuring giant wall maps and tiny pocket globes, hefty folio atlases and fragile map handkerchiefs, the exhibition shows the rise of American maps from rare collectibles to popular object available to American citizens of all backgrounds. Visitors of the online exhibition will see how men used maps at home and abroad; how women and children engaged with maps to foster family ties; and how maps became the social glue that would bind a people of strangers into a community during times of change and development. Emphasizing everyday habits and material culture, each of the exhibition’s section highlights particular map genres and map users, asking the basic question: how would you—based on education, gender, age, and even race—engage with maps in early America?